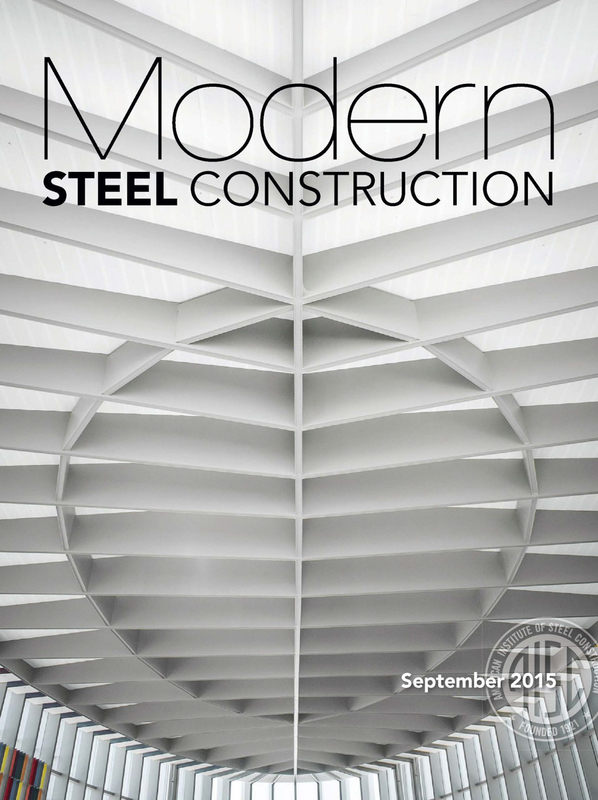 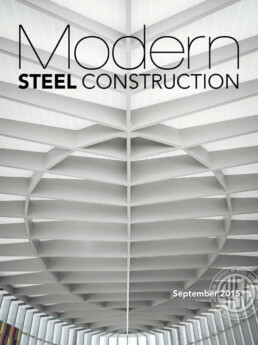 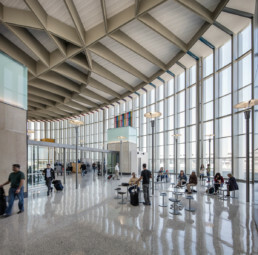 Airline travel is being reinvented to focus on enhancing the passenger experience and the design of the ABIA Terminal East Infill Project accomplishes this. 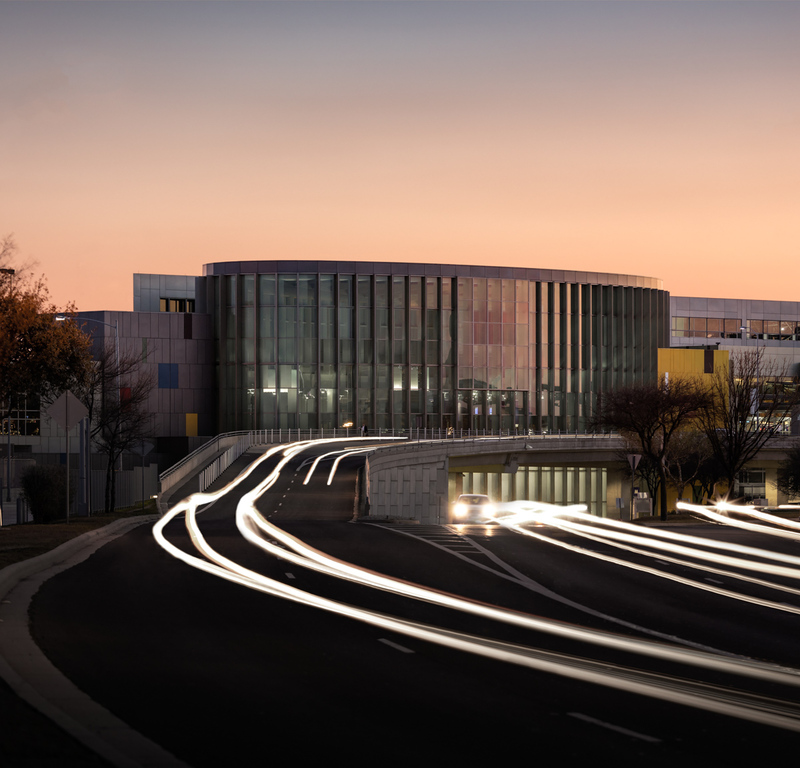 The project expanded existing passenger processing capabilities for security screening, ticketing, customs, and baggage handling in preparation for a nine-gate expansion of the East concourse of the Austin Bergstrom International Airport. 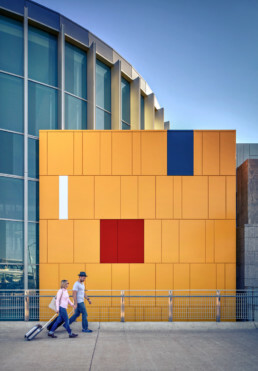 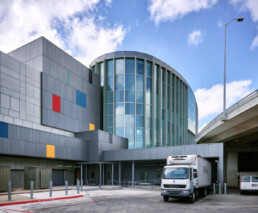 The additional 55,000 square feet in the terminal reshaped the entrance to the airport with a multi-story, windowed and colorful terminal adjacent to much of the pedestrian area of the airport. 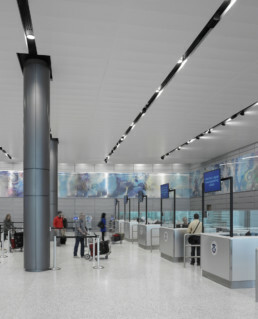 A new passenger security screening checkpoint with eight lanes is expandable up to ten and a larger customs area were designed with the latest standards. 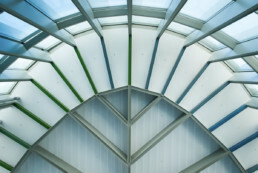 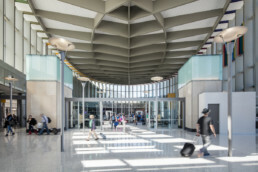 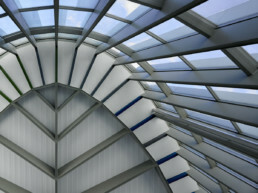 Inside, the project, which has achieved LEED Silver certification, added a connection from the east ticket lobby to the concourse at gate five. 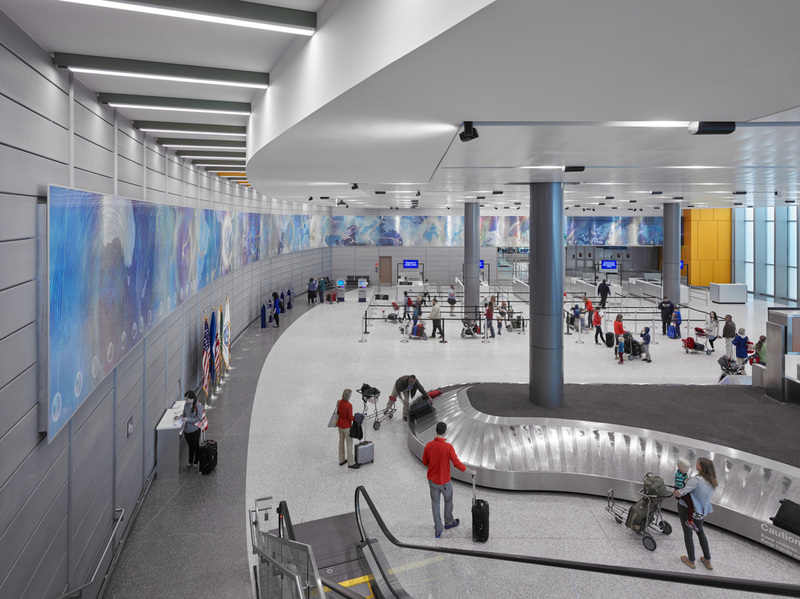 The existing Barbara Jordan Terminal, designed by Page, consistently ranks as one of the top airports in passenger experience. This project is intended to further the airport’s primary goal of providing a positive passenger experience by increasing passenger processing capabilities, reducing passenger wait times, and creating inviting architectural spaces. 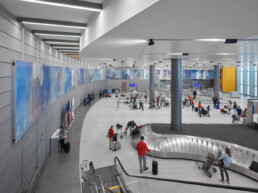 The project comprised approximately 26,000 square feet of new space at each of the Concourse and Baggage Claim levels. 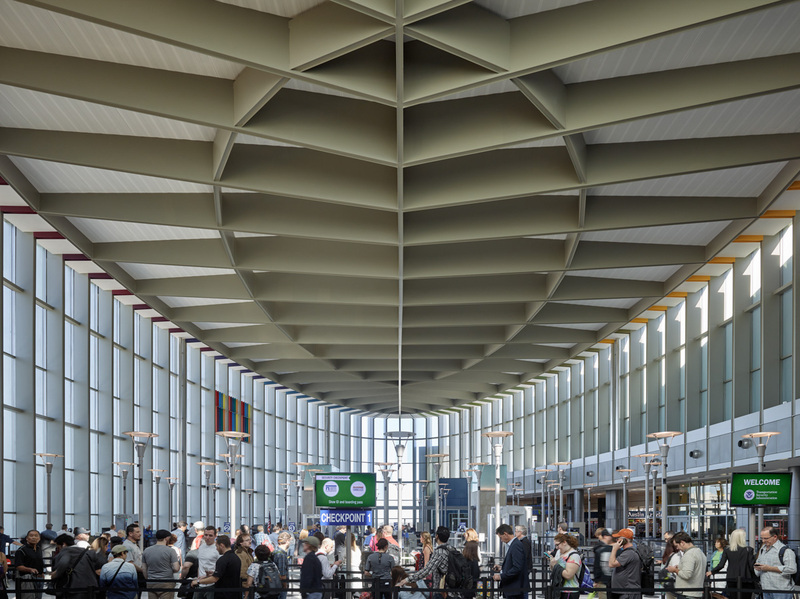 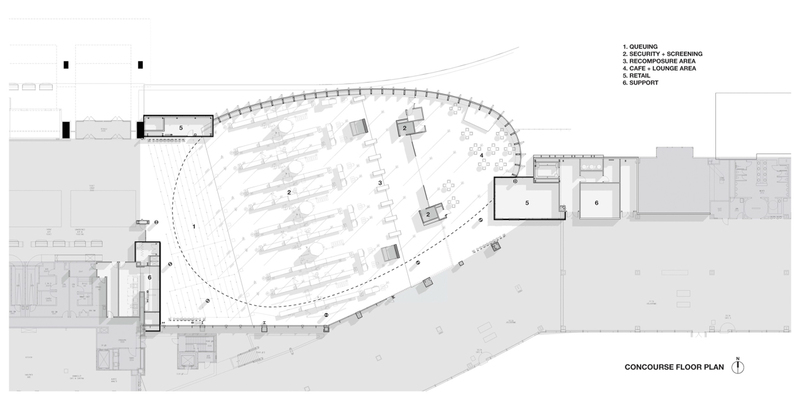 The Concourse level expansion includes a 10-lane Security Screening Checkpoint (SSCP) within a high-volume, open, day-lit space, as well as 4,000 square feet of new concessions services. 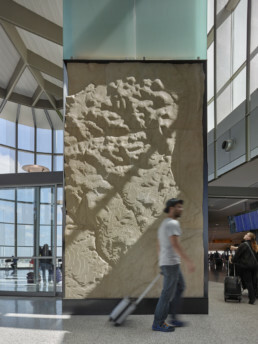 At the Baggage Claim level, the project created a new Customs screening facility, increasing international arrivals processing from 100 passengers/hour to 600 passengers/hour, and also expanded the domestic baggage claim area with two new carousels. 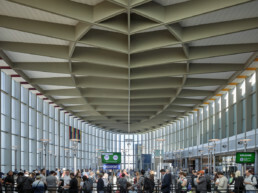 A new material handling program tracks, monitors and delivers incoming goods and supplies to the terminal through a “just-in-time” managed system. 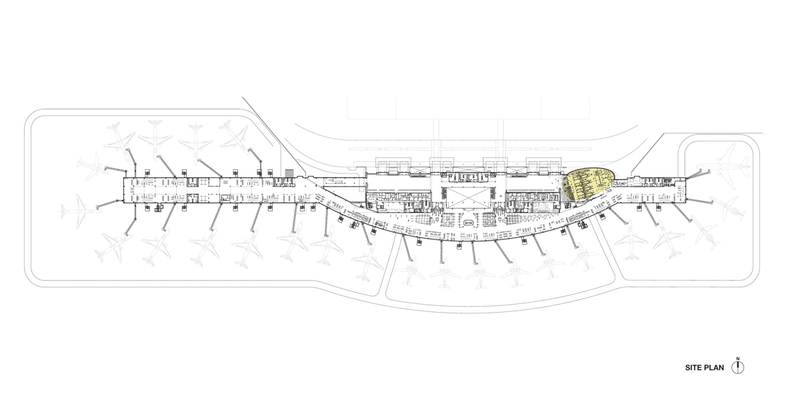 These new material and waste handling programs reduce back-of-house space needs, thus increasing available revenue-generating/amenity space within the terminal. 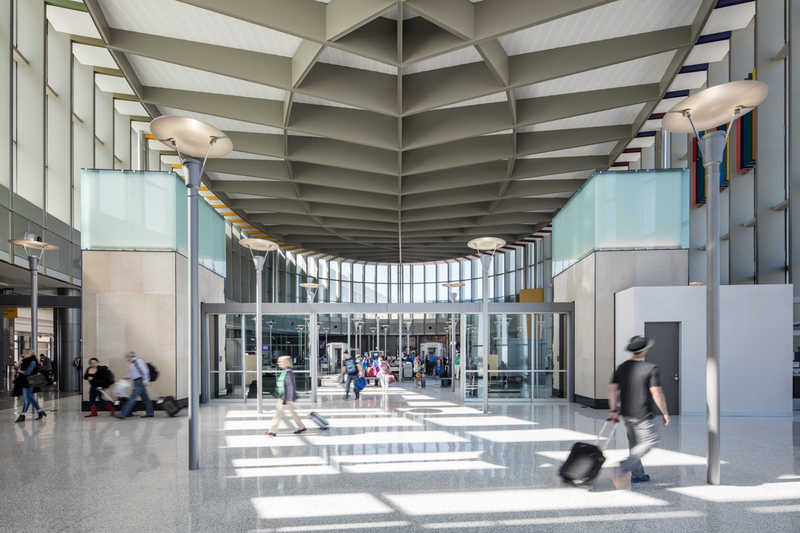 Hensel Phelps constructed the ABIA Terminal East Infill project and Architectural Engineers Collaborative served as the structural engineers. 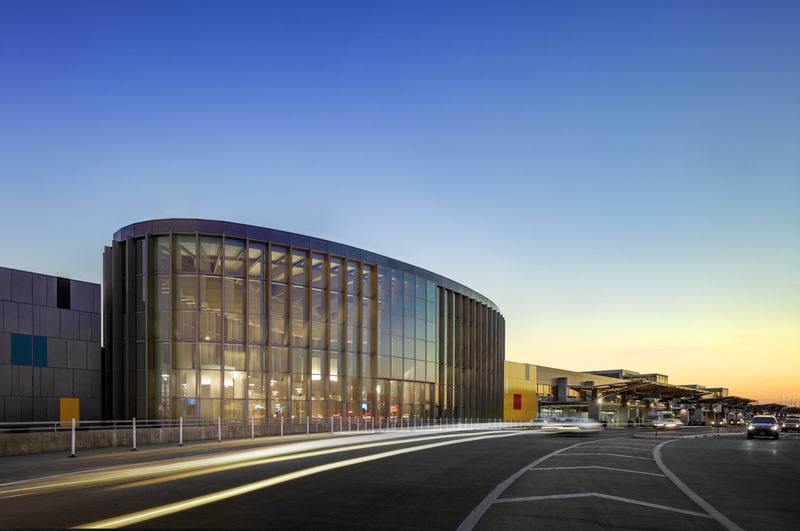 Ground was broken in the fall of 2013 and the new Customs facility opened in December of 2014. 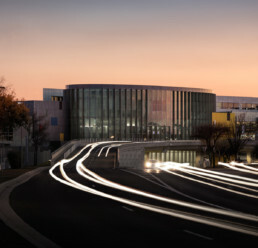 The project was completed in mid-2015.